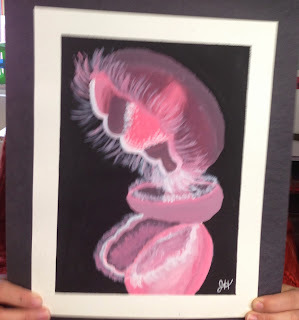 Another lesson I've been wanting to teach forever! 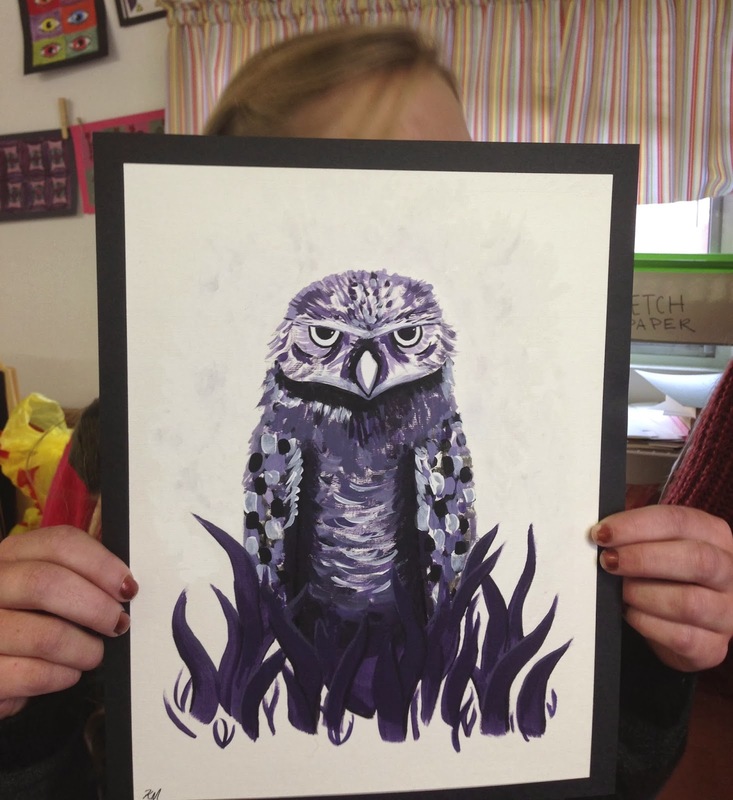 So pleased with the results. 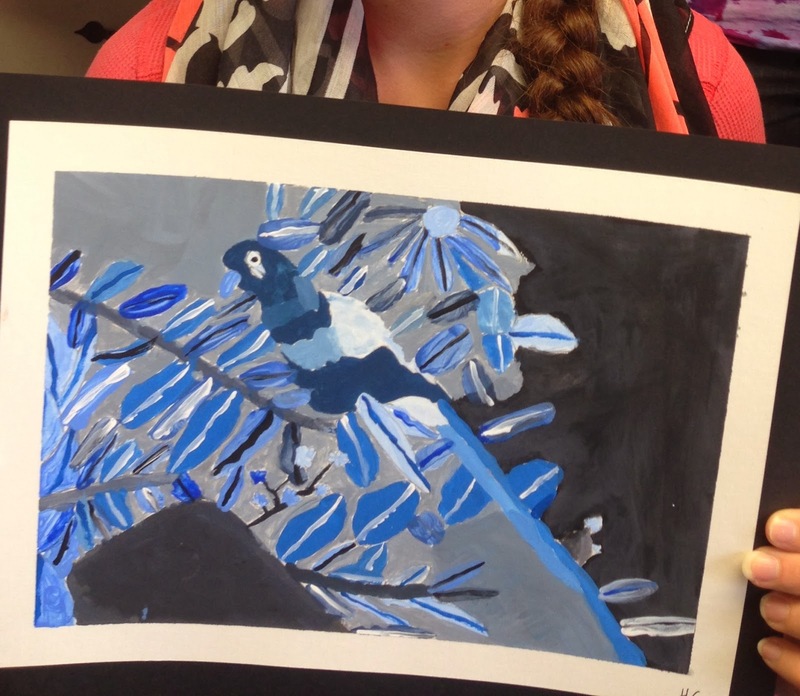 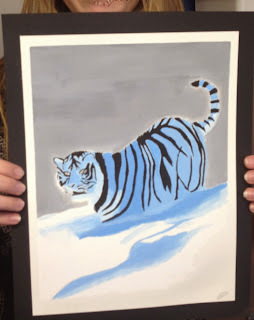 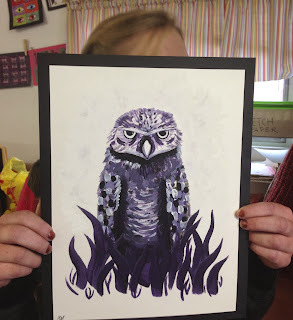 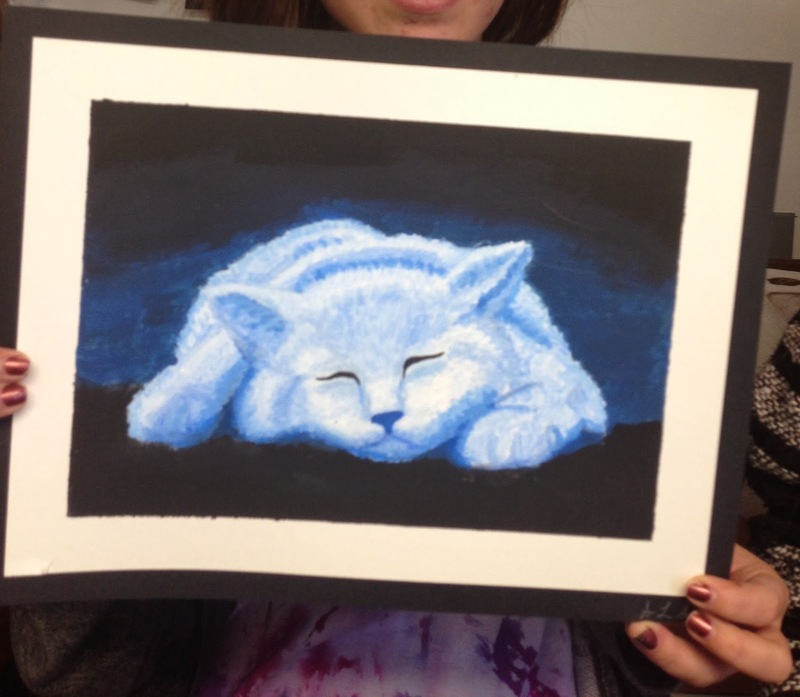 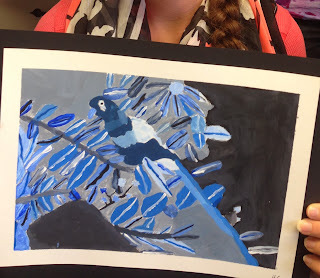 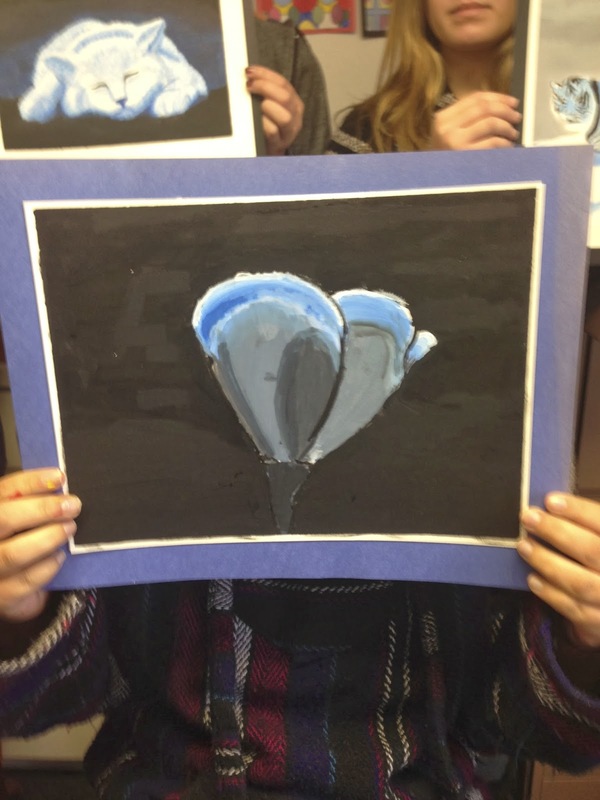 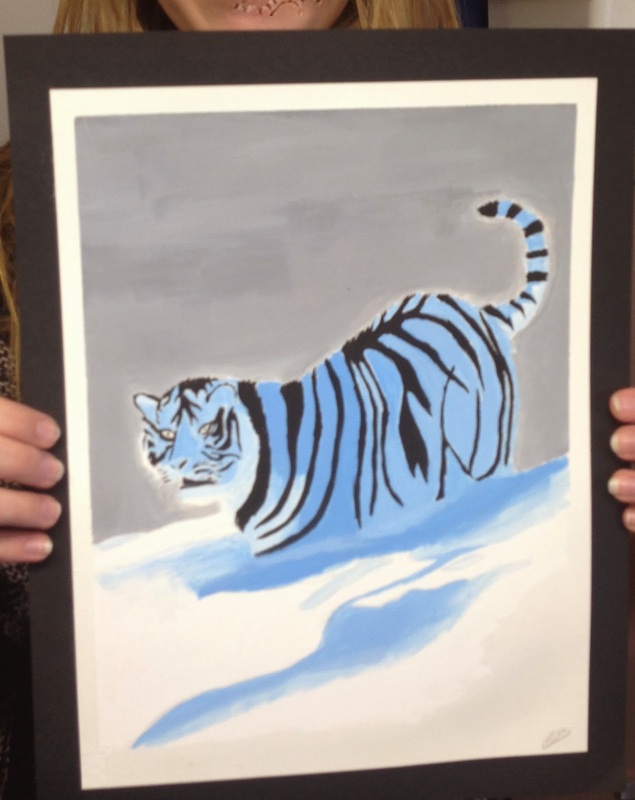 Students used one color and black and white acrylic paint for this assignment. 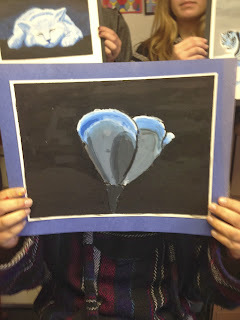 After they chose their subjects from a magazine (they were instructed to choose a living subject that was photographed), I made black and white copies of their photos to help them better see the different values.